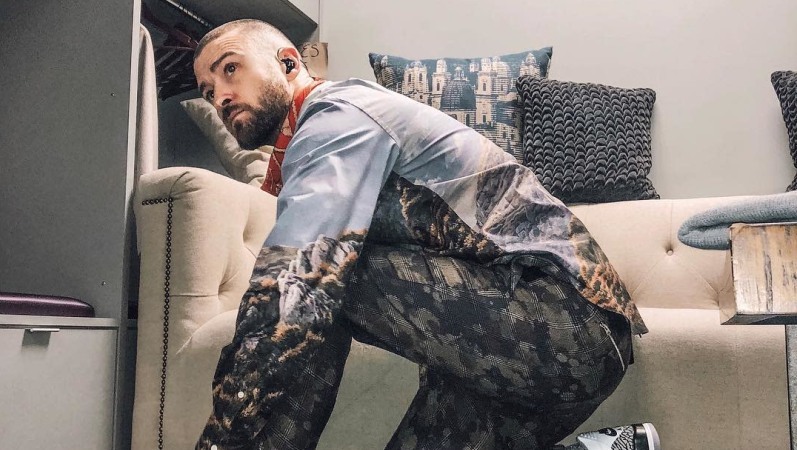 Fresh off performing at the Super Bowl, Justin Timberlake has another impressive career milestone to celebrate. As reported by Billboard, his new album, Man of the Woods, has officially debuted at No. 1 on the Billboard 200. The debut marks his fourth chart-topping album, moving 293,000 in equivalent album units during his opening week. Impressively, 242,000 of that number was comprised of traditional album sales. Previously, JT's The 20/20 Experience (2 of 2) (2013), The 20/20 Experience (1 of 2) (2013) and FutureSex/LoveSounds (2006) each debuted at No. 1. However, his 2002 album, Justified, marks his only album that missed the No. 1 mark as a solo artist, debuting at No. 2. Next up for Timberlake? Embarking on his album's accompanying tour, which is set to kick off on Mar. 13 and run through May 30. Needless to say, 2018 is off to an incredible start for the 37-year-old singer. Many congrats!